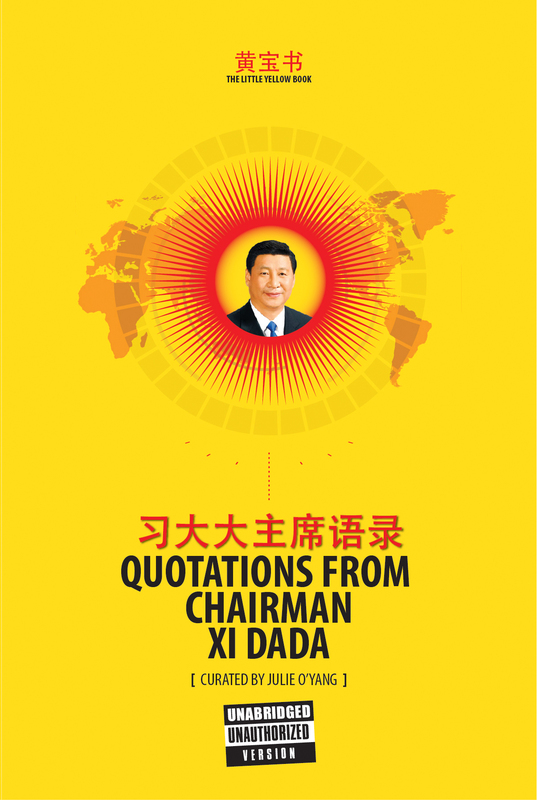 The release of The Little Yellow Book: Quotations from Chairman Xi Dada, edited by Julie O’Yang, couldn’t have been timed better. While Americans fear the possibility of China’s ascendancy, the Chinese themselves grow anxious about the slowing economy and the increasing dominance of the Communist Party over their lives. The Chairman says, ‘I want to press the like button for our great Chinese people.’ Some might find this one-liner unsettling in era when old-fashioned propaganda and censorship meet Wi-Fi. The book opens with an explanation of the title. ‘Dada’ is a colloquial way of saying ‘Father’ in Northwest China, Xi Jinping’s birthplace. The Communist Party has used the expression to describe its leader since 2012. O’Yang exposes an ongoing attempt to establish a cult of personality around Xi, which includes a quiz show about the leader’s life. We even get a sense of his personal likes and dislikes. The promotion of Xi as the nation’s father figure, one who’s tough but with a tender heart would, naturally, give him more legitimacy in defining the country’s values and goals. Xi Jinping frequently reminds the people that the state’s official ideology is ‘socialism with Chinese characteristics.’ This suggests that Marx and Lenin share the podium with Mao and Deng. In a departure from Mao Zedong, they also need to make room for Confucius. But ‘Chinese characteristics’ is not clearly defined until the section on the economy and industry. Xi seeks to reverse some of the liberalisation that took place under Deng. He plans to expand state-owned enterprises and to ‘establish Party organization in small enterprises and even private enterprises.’ Xi regards the collapse of the Communist Party in the former Soviet Union as a warning for China, and he’s determined to maintain Party control over the military. It’s up to the reader to judge whether this collection provides insight into China’s future or focuses mostly on an understanding of Xi’s personality. In the end, one might interpret attempts to depict Chairman Xi as Mao-like as a sign of the leadership’s insecurity. An analyst working in The White House should have highlighter in hand when reading this book, especially at the part when Xi describes Putin as his ‘best, most intimate friend.’ Don’t expect The Little Yellow Book to have the same influence that Mao’s Little Red Book had on American universities in the 1960s. But people can take some comfort in knowing that they’re not reading the words of a mass murderer. On a personal note, I agree with the Chairman’s assertion that a wise nation must be willing to ‘fight tigers as well as flies.’ Who would argue with that?